Last week Italy’s foreign minister said his government is considering reopening its embassy in Damascus. Unless we stop it, Italy will become the first European country to normalize relations with the Assad regime, despite it being under EU sanctions for its well-documented war crimes and crimes against humanity. Enzo Moavero Milanesi, Italy’s foreign minister, thinks his comment will fly under the radar because the world’s attention is shifting away from Syria — but if we act now we can change that. Let’s flood the Foreign Ministry with messages and force them to publicly pledge that they will not re-open the embassy and legitimize Assad’s crimes. Italy closed its embassy in 2012, citing the unacceptable crackdown on civilians by the Assad regime. While violence may have subdued in parts of the country that Assad was able to take back with relentless bombing and starvation sieges,the regime continues to this day to kill and forcibly disappear thousands of civilians. 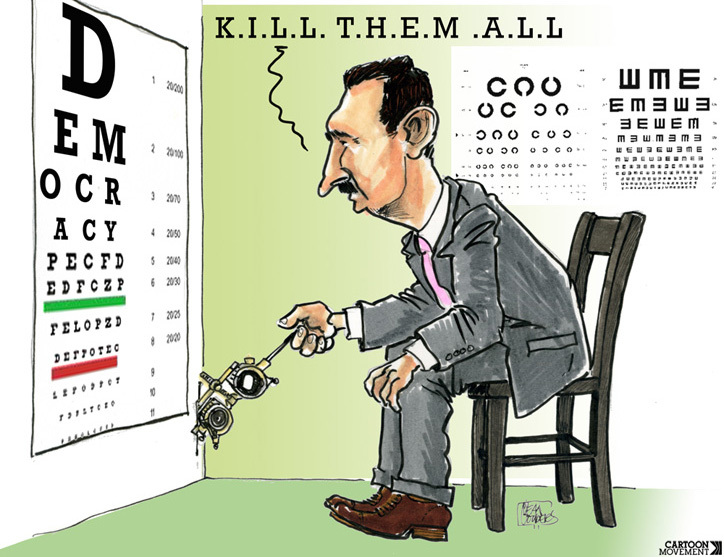 Restoring diplomatic relations will only serve to enable Assad’s crimes. Just this weekend the White Helmets reported several civilian casualties in Idlib due to Syrian and Russian airstrikes. If Italy goes ahead, other countries are likely to follow — the UAE and Bahrain have already re-opened their embassies in Damascus. Let’s show the decision-makers at the Italian Foreign Ministry that until there’s real peace in Syria — one that is based on justice and political legitimacy — we will not stand by while they shake hands with a mass murderer. When Italy was blocking a ban on selling fuel to the Syrian regime used by their helicopters to drop barrel bombs in 2014, thousands of us sent messages and together we reversed Italy’s position. Let’s do it again.